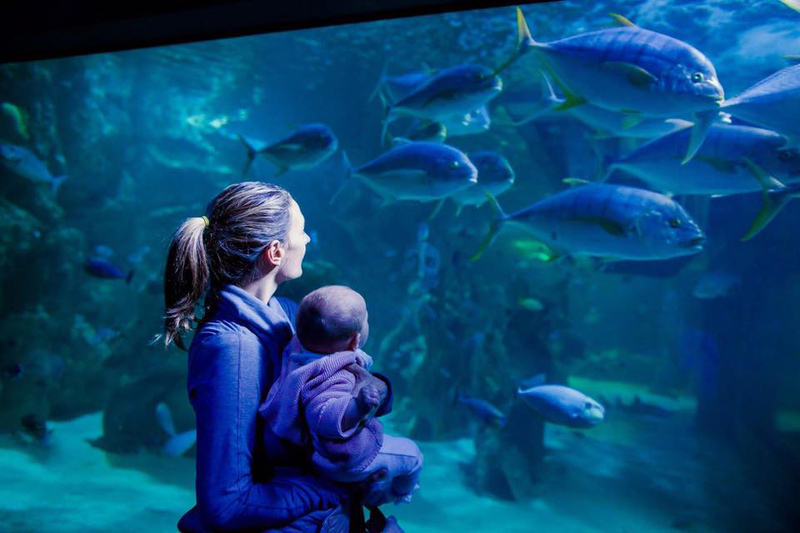 Come on a journey of amazing discovery through SEA LIFE Sydney Aquarium’s unique freshwater and marine aquatic environments and discover an incredible 13,000 animals from 700 different species. Explore 14 new themed zones including a tropical Bay of Rays, Discovery Rockpool, Mangrove Swamps and the world’s largest Great Barrier Reef display. Face your fears on Shark Walk, walking over huge sharks and journey into the depths of the new oceanarium, Shark Valley, home to the skeletal remains of a giant whale, the tumbled-down ruins of an ancient stone temple and the largest variety of sharks and rays. 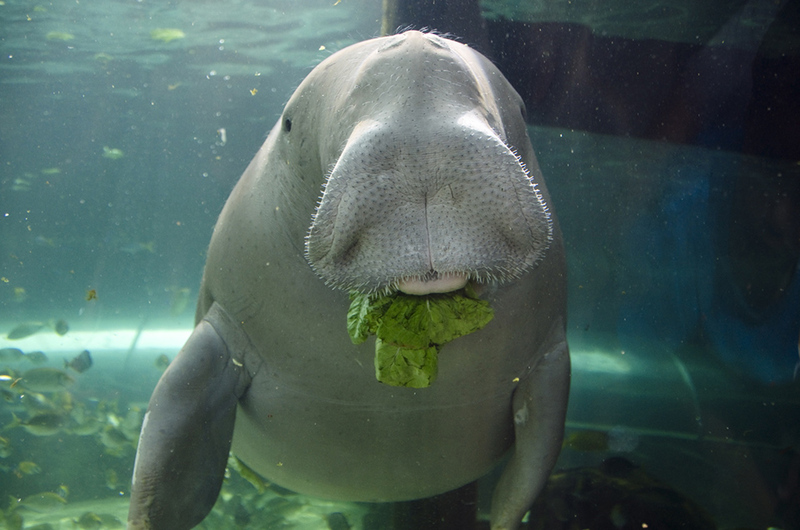 Along the way you’ll encounter some of the world’s most incredible animals unique to each habitat, including two of only five dugongs on display anywhere in the world, huge sharks, massive stingrays, turtles, platypuses, penguins, sea jellies thousands of tropical fish and much, much more. From the freshwater rivers of the south to the tropical waters of the north, including the world’s biggest and most impressive Great Barrier Reef exhibit, a trip to SEA LIFE Sydney Aquarium takes you around Australia’s coastline, out into its oceans and up into its waterways – all without leaving the city! When you arrive, don’t forget to check the feeding and talks schedule. These interactive sessions are scheduled throughout the day and offer unique and special insights to the most popular and interesting animals. Make a day out of visiting Darling Harbour and visit the other attractions that it has to offer afterwards. You can easily get to SEA Life Aquarium. 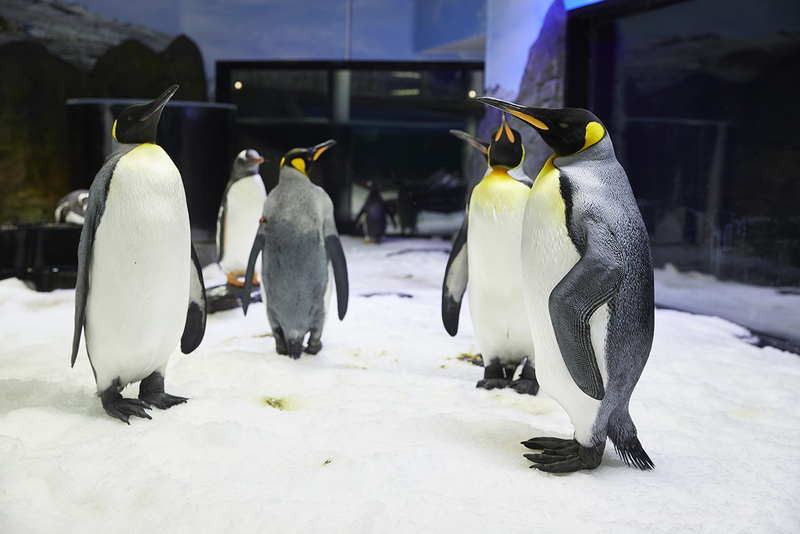 It is located in Darling Harbour, next to Madam Tussauds and Wildlife Zoo Sydney. There are public ferry services to Darling Harbour which depart from Circular Quay Wharf 5 about every half hour. Darling Harbour is also a short walk from Town Hall or Wynyard station. Buses are also available. You can also take the bus or walk from Circular Quay. For timetable information, you’ll want to visit Transport NSW. If you prefer your visit to be less crowded and loud, it is recommended that you visit during the week, outside of school holidays, or any day after 2 PM. The aquarium is accessible throughout the attraction. There are ramps connecting each level so care should always be taken. Wheelchairs may be borrowed from the admissions area but are available on a first come first serve basis and cannot be booked ahead of time.